Create Animating Scenes Using Pur CSS classes. Up to ten different sequences with delays and animation durations. Say good by to video. .. The Google Custom Search for WordPress Plugin is an advanced WordPress Search Plugin with an On-Demand-Index and On-Demand-Removal Functionality. .. Create Beautiful Forms In Seconds With The Most Powerful WordPress Form Builder Plugin Create Unlimited Contact Forms, Online Surveys, Booking ..
What is Foodpress Foodpress is an easy to use restaurant menu management plugin for WordPress. Build unlimited food menu items for your ..
Would you like to have multiple languages on your WordPress website? 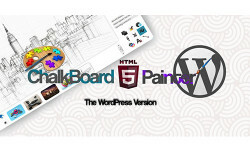 Have you already tried some of the other translation plugins available, ..
A picture says more than a thousand words If you are used to use WordPress to create websites you know that images can be displayed in many ..